Jodi has created an exclusive quilt design for Quintessential Quilts that can be made in any color of your choice. This pattern is exclusive from Quiltworx, Judy Niemeyer, designed by Jodi. 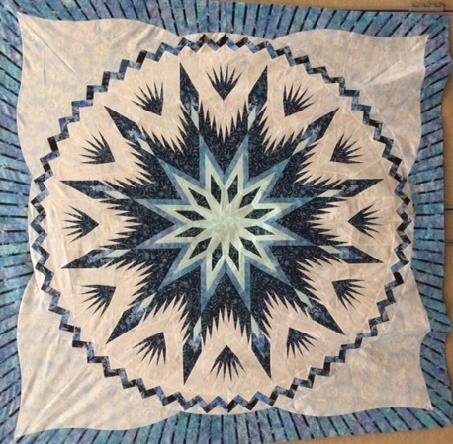 You will learn how to organize the foundation paper pieces and all the techniques and shortcuts from Jodie to create this beautiful quilt. This will be a very special quilt because no one else will be able to make this pattern outside of Quintessential Quilts.